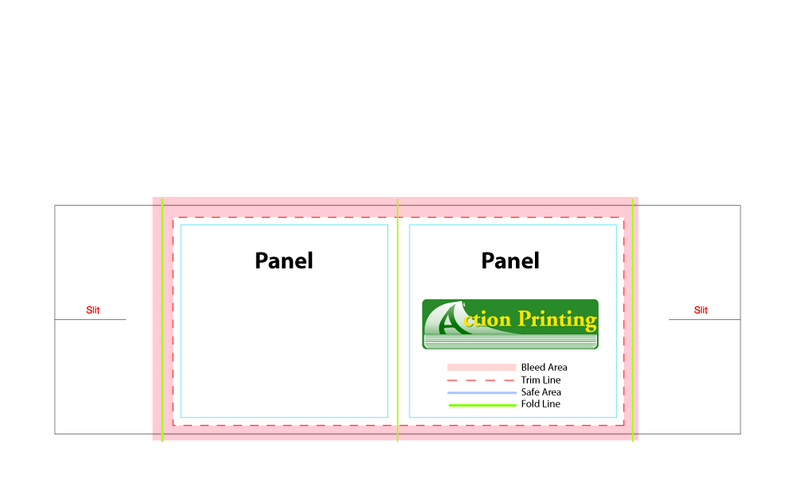 Use our free template library to set up your printed piece. Our templates will save your time and money. 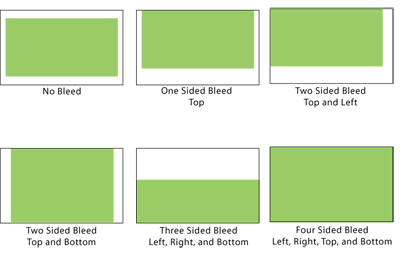 They include information about bleed, cut, and fold so you can design accordingly. 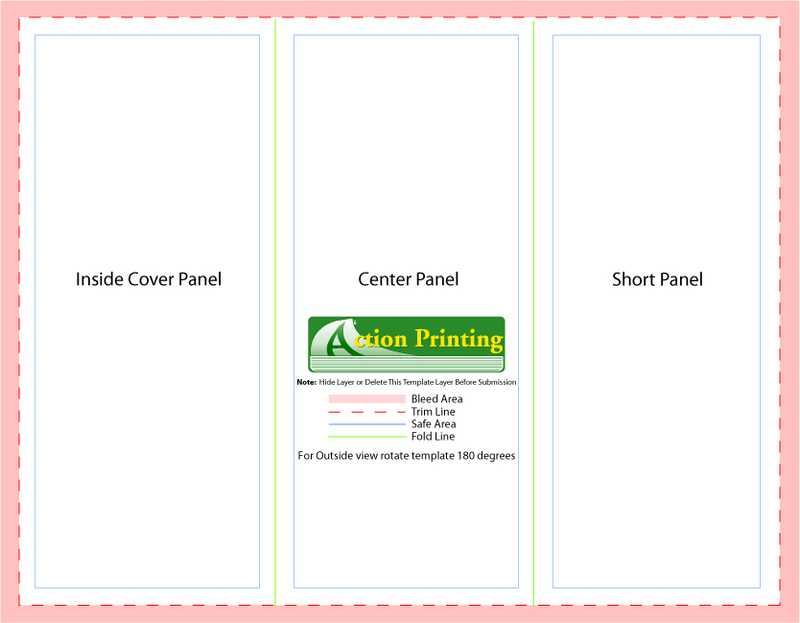 Our templates are available for the following layout programs: Adobe InDesign, Corel Ventrua, or Quark. 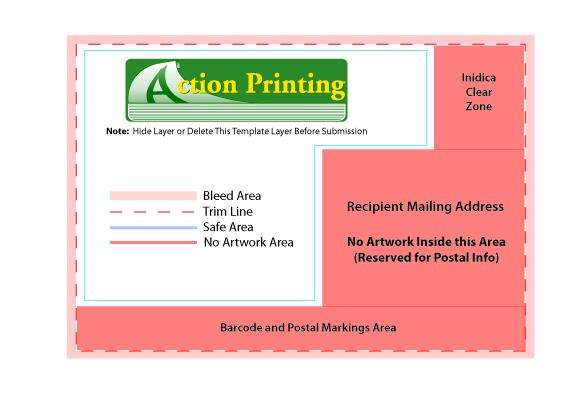 Use our mailing list template for mailing database setup. 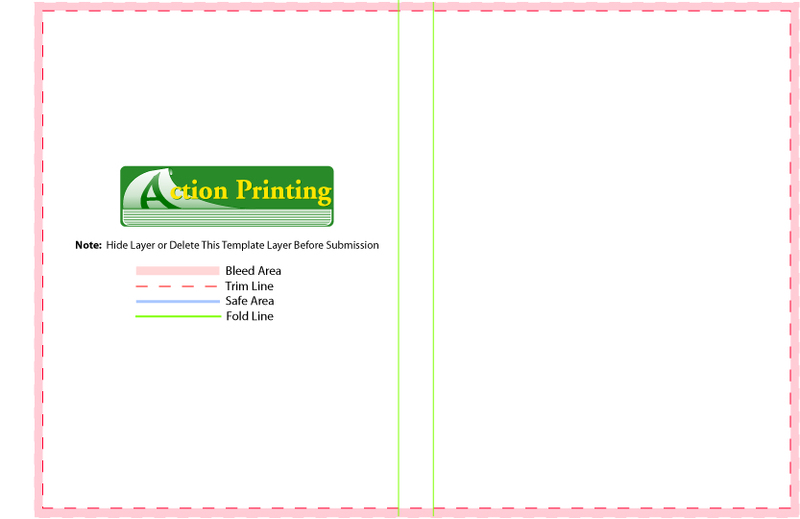 Follow guidelines in our Time-Saving Preflight Checklist before submitting your print-ready files. 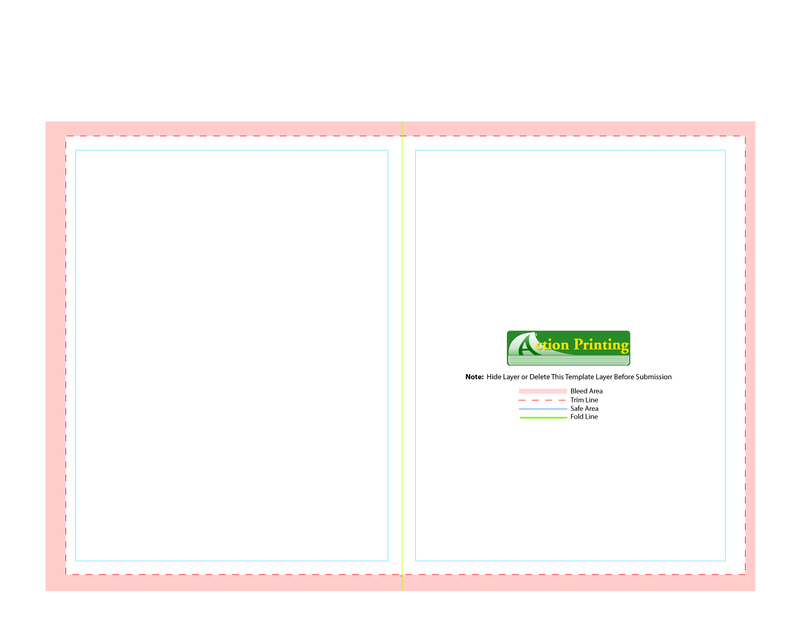 Your background should fill this area if you want the image to extend to the end of the page. 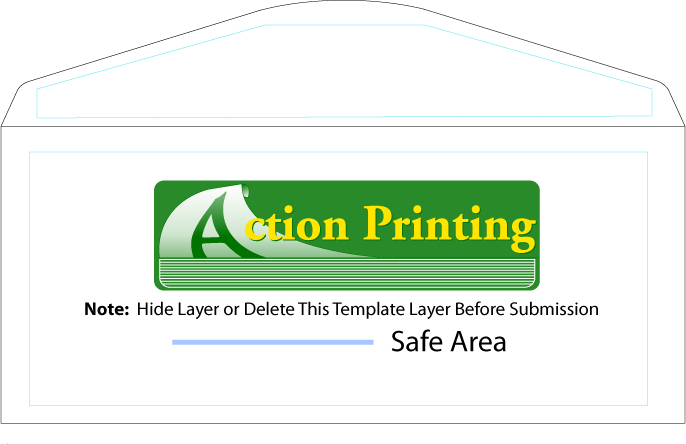 Keep all important text and images within the safe zone. 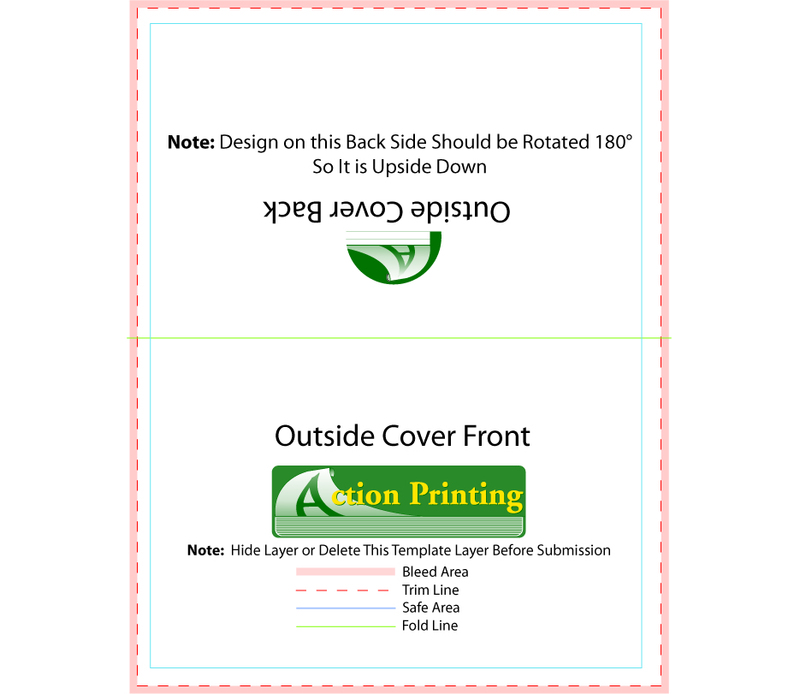 Leave at least .25″ of space on either side of the fold. 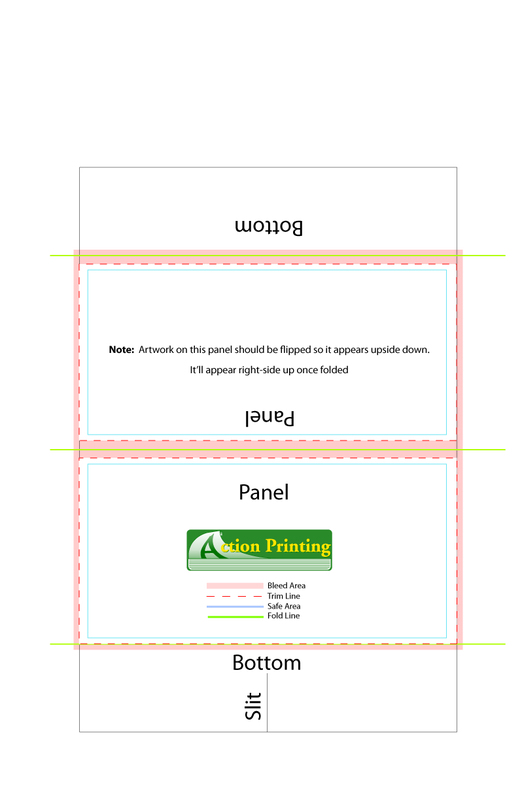 This ensures text and images remain in the readable portion of the page, not inside the fold. 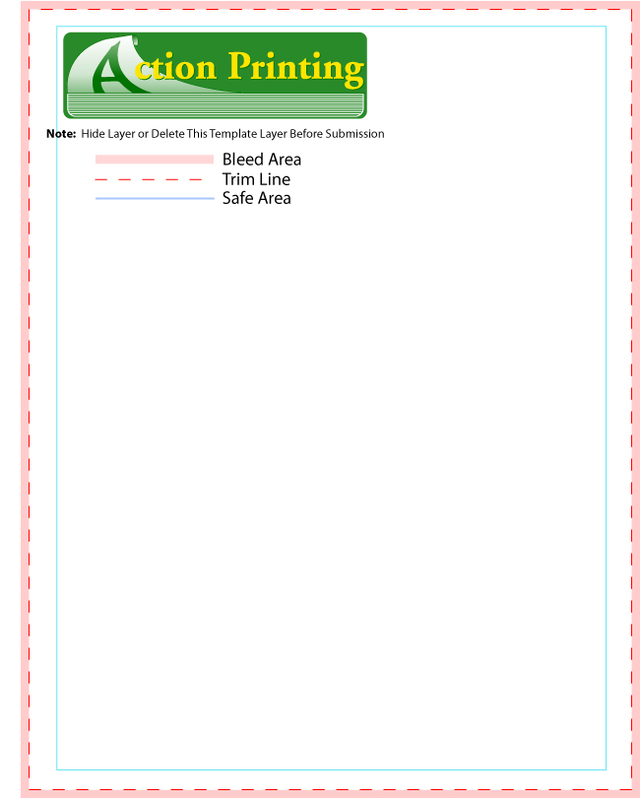 This line show the cut line for your document. Anything outside this line is cut off. This is your content area. Keep important text and image within these bounds. 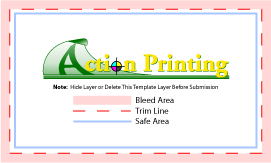 A bleed is an image or color that extends beyond the trimmed edge of a printed sheet. 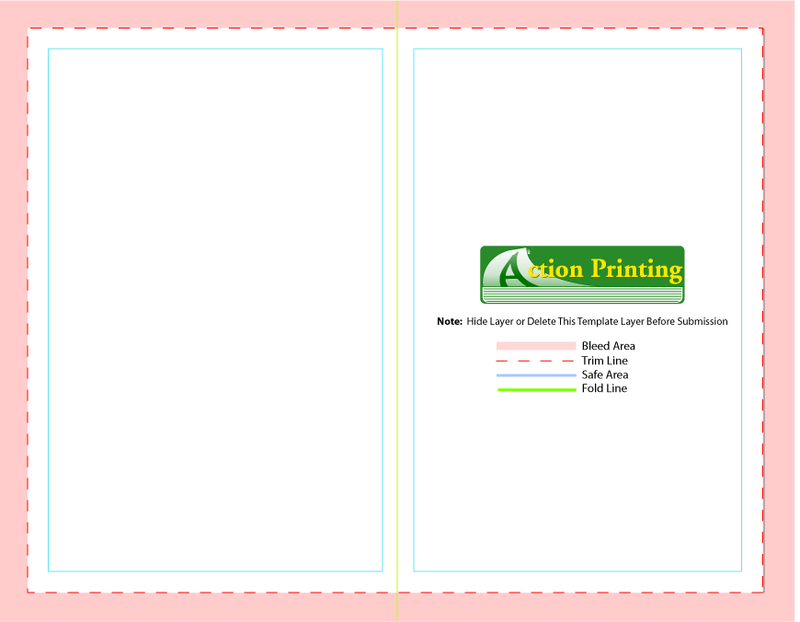 As illustrated to the left here, even though the cut is slightly off, no white area is shown. 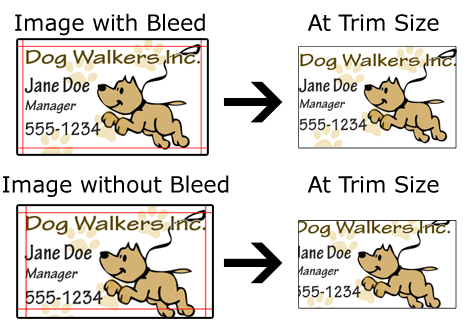 In the example above, the version with the proper bleed gets only part of the pawprint background cut off and not any of the dog artwork or text. 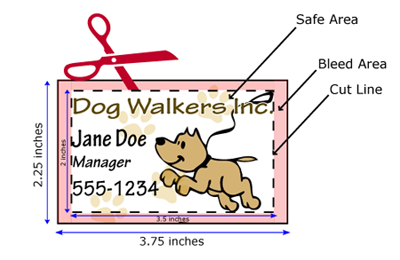 In the version with no bleed, the dog’s foot and part of the text gets cut off. 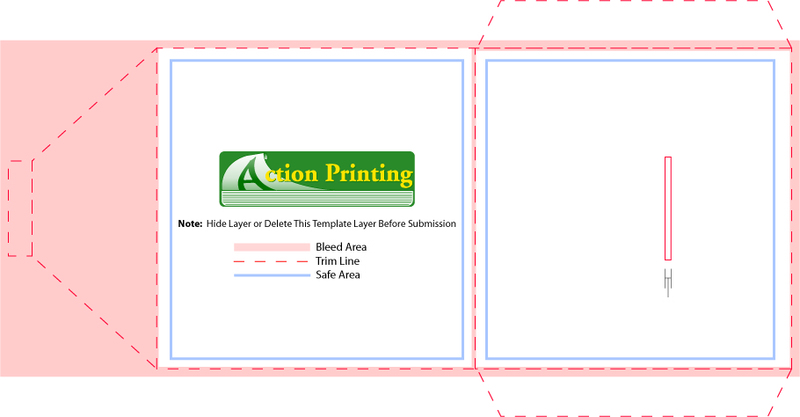 Basically, you intentionally create your design to be cut off around a certain spot and you don’t put anything you’d mind losing in that area. This way, even if the cut is slightly off, you won’t end up with a white edge on your design anywhere. 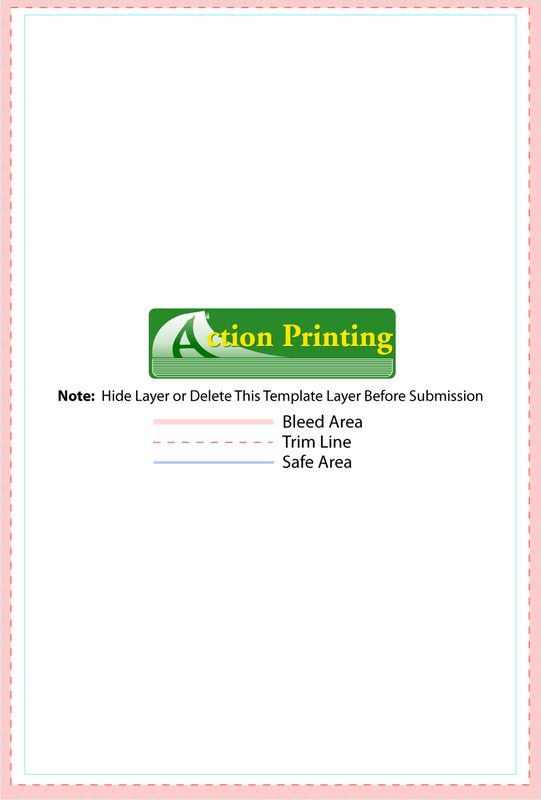 You only have to bleed where you intend for your design to extend all the way to the edge of the page. 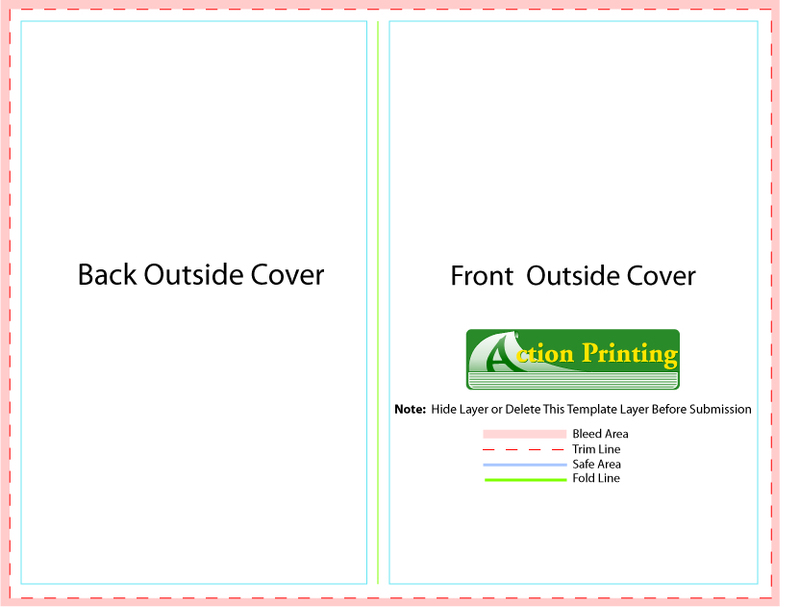 We’d recommend you design your file in a true page-layout program, but if you’d like to use another program, we’ve provide the .jpeg files as a guide. Just click on the appropriate file icon to download it to your computer.